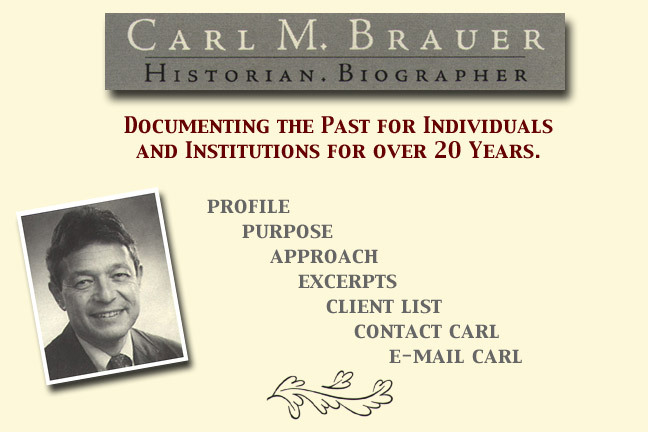 Carl M. Brauer is a freelance historian and biographer who works under commission or sponsorship. His subjects include individuals and families, businesses and industries, professional service firms, hospitals and health care institutions, philanthropic foundations, government, and public policy. He also edits memoirs and conducts oral history projects.